Five members of a gang who kidnapped and tortured a 16-year-old boy have been sentenced to over 23 years' imprisonment, today, Friday 12 April at Snaresbrook Crown Court. 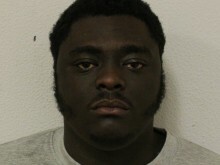 Isaac Donkoh, a gang member and drill music artist who was from the Newham area was sentenced along with his accomplices, two 16-year-old and two 14 year-old boys. Donkoh had previously enlisted the help of one of the 16-year-old defendants who knew the victim, and on the night of 2 August 2018, the 16-year-old made contact with the victim, suggesting they meet in Gordon Road, Barking. The victim turned up as agreed and a short time later a dark blue Ford Mondeo pulled up, with Donkoh driving and the four other youths in the passenger seats. The victim was punched in the head and body and ordered into the vehicle. He was threatened with a machete and, once in the car, two plastic bags were put over his head and secured with an elastic band. In evidence, the victim stated that at this point, "I thought they were probably gonna kill me." Donkoh then drove the car to the home of one of the 14-year-old defendants. On arrival, Donkoh told the victim that the gang were in possession of a gun and two knives. The victim was held for approximately two hours at the address and subjected to a violent and humiliating ordeal. He was forced to strip naked whilst Donkoh filmed him on his iPhone and threatened to 'cut him up' if he did not do so. The men hit him with a metal pole over his face, back, legs and arms and his hair was forcibly cut with scissors, during which time he was slapped in the face, forced to kneel and kicked hard in the head. Donkoh tried to pour boiling water over the victim's head, resulting in scalding the victim's feet, causing serious injury. The victim tried removing his socks but Donkoh would not allow him to. He was also forced to swallow a cannabis joint, kicked in the face and threatened with scissors, all incidents which Donkoh filmed on his phone. The victim was forced to call his parents and beg for £1500 in order to secure his release. A bag was then placed back over the victim's head and he was ordered not to speak to police. He was taken back out to the car and released not far from where he had been kidnapped. An investigation was launched by the Trident and Area Crime Command, and along with local officers from the gangs unit quickly identified Donkoh and his accomplices. One of the 16-year-old defendants kept the victim's iPhone and on arrest, sought to conceal the offences from police by telling them that he had found the phone in the street. Subsequently on 16 August 2018, the victim was contacted via Snapchat, and was told Donkoh wanted him to drop the charges and not show up in court - and would give him £5000 if he did so. "This was an extremely violent incident, which has had a profoundly distressing impact on the victim and his family. Whilst the physical scars of that night have started to heal, I believe the psychological impact on the victim has been lasting. "Donkoh fronted drill music videos for his gang which goaded rivals and recruited boys as young as 14 to commit serious violence. I believe that removing Donkoh from the streets of Newham has done a great deal to reduce serious violence in the borough, as we identified a direct correlation between his drill videos which glorified violence and shootings and stabbings on the streets." 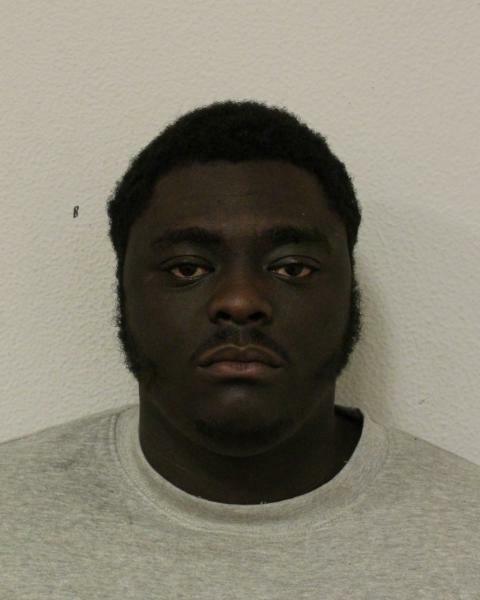 [A] Isaac Donkoh, 22 (25.05.96) of Ixworth Place, SW3 pleaded guilty to conspiracy to kidnap, conspiracy to falsely imprison, conspiracy to blackmail, causing GBH, perverting the course of justice by offering money for a witness and perverting the course of justice by attempting to persuade a witness. He was sentenced to 12-and-a-half years' imprisonment. [B] A 16-year-old male pleaded guilty to conspiracy to kidnap and perverting the course of justice by offering money for a witness and was found guilty of conspiracy to falsely imprison and conspiracy to blackmail. He was sentenced to two-and-a-half years' imprisonment. [C] A 16-year-old male pleaded guilty of conspiracy to kidnap, conspiracy to falsely imprison and conspiracy to blackmail. He was sentenced to three-and-a-half years' imprisonment. [D] A 14-year-old male pleaded guilty to conspiracy to kidnap and conspiracy to falsely imprison and was found guilty of conspiracy to blackmail. He was sentenced to two-and-a-half years' imprisonment. [E] A 14-year-old male pleaded guilty to conspiracy to kidnap and conspiracy to falsely imprison on 23 January and was found guilty of conspiracy to blackmail. He was sentenced to two-and-a-half years' imprisonment.